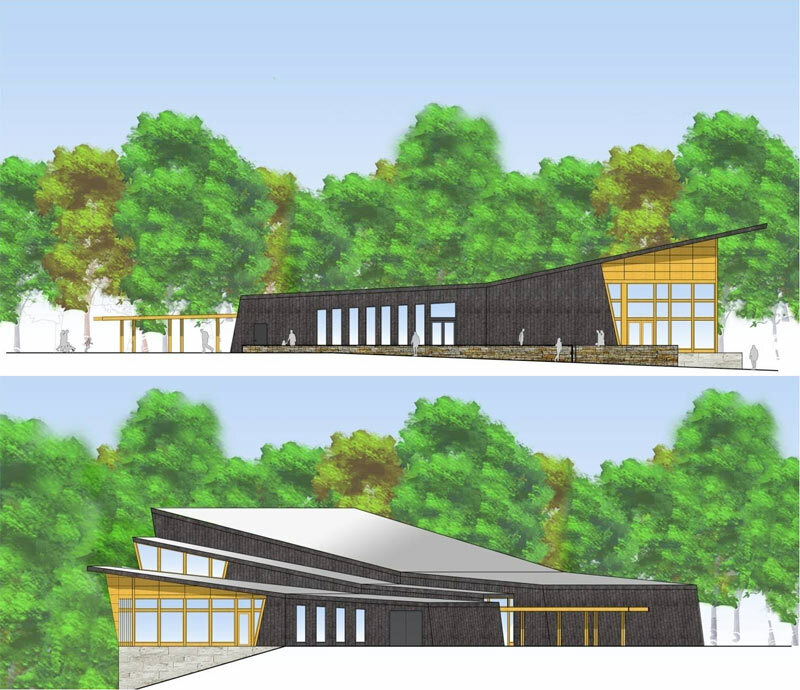 Construction officially began on June 27 on Beckley Creek Park, one of four major new parks planned along Floyds Fork as part of the nearly-4,000-acre Parklands, and now one of the major pieces of architecture in the park is taking shape. The Gheens Lodge, designed by local architecture firm Bravura, sits on the banks of Floyds Fork, will accommodate 300 people, and features a glass wall and projecting roof facing the creek. 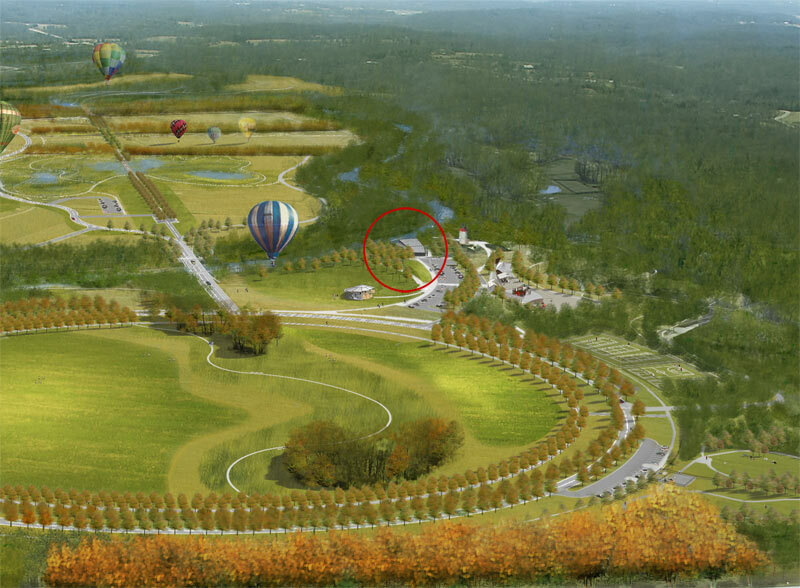 The surrounding 616-acre Beckley Creek Park, designed by Philadelphia-based landscape architects WRT will feature a half-mile-long, tree-lined Grand Allee and a 23-acre egg lawn along with new trails, wetlands, playing fields, and 650 new trees. Both the park and the Gheens Lodge are expected to open in early 2013.